Roku TV Wireless Speakers make it easy to add premium sound to any Roku TV. They’re the first speakers made exclusively for Roku & add exceptional depth & stereo separation to movies, TV and music. 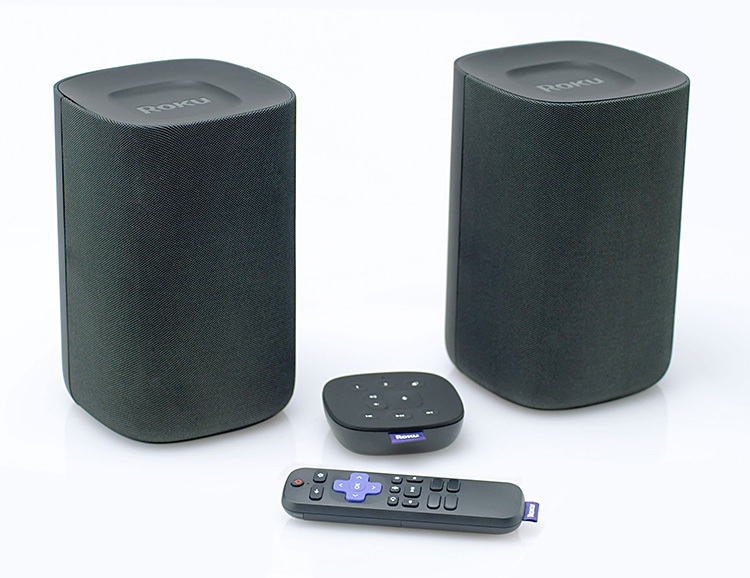 Because Roku controls the software in both the speakers and TV, the system provides seamless wireless setup and connectivity as well as optimizing flawless sound-to-picture audio video sync. The new 700 Series speakers from British audio innovators Bowers & Wilkins borrows tech from their flagship 800 Diamond series, but keeps the price much lower. The series upgrades their award-winning CM range of speakers by adding stiffer carbon dome tweeters for better highs, new Continuum Cones for improved mid-range, and all-new Aerofoil Profile bass cone for deep & dynamic bass. British speaker innovators KEF make some of the best-sounding and most advanced speaker systems in the world. And for the creation of the new LS50 Nocturne model, they teamed up with another world-famous name: Dutch art director and designer Marcel Wanders. The desktop Nocturne speakers combine audiophile-quality features like aluminum/magnesium domed drivers and 24-bit sound with a one-of-kind design that includes pulsating lights & glow-in-the-dark elements. 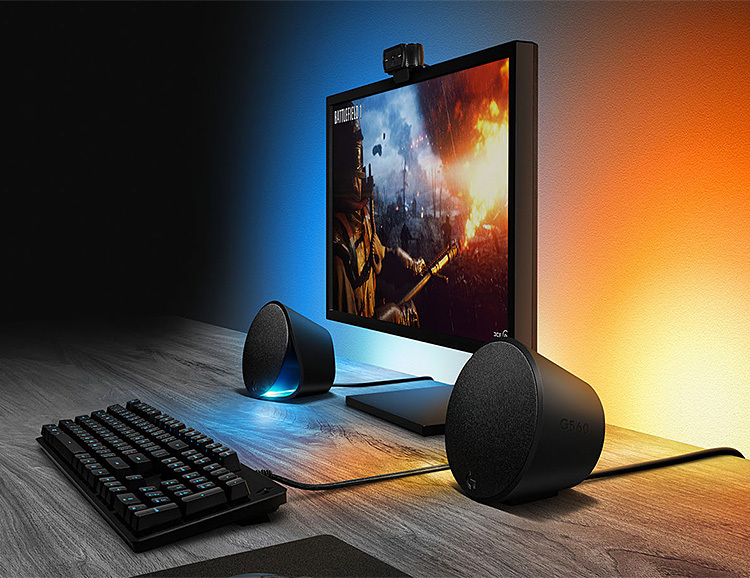 The latest from Logitech is the G560 speaker pack, a pair of 240-watt gaming speakers with four RGB LED lights built-in. The lights can display over 16 million colors & use Logitech’s LIGHTSYNC technology, enabling the lights to synch with whatever you’re watching, playing, or listening to on the screen. Sonos & Sonance just unveiled a trio of new indoor/outdoor speakers designed to work with Sonos’ Amp technology. 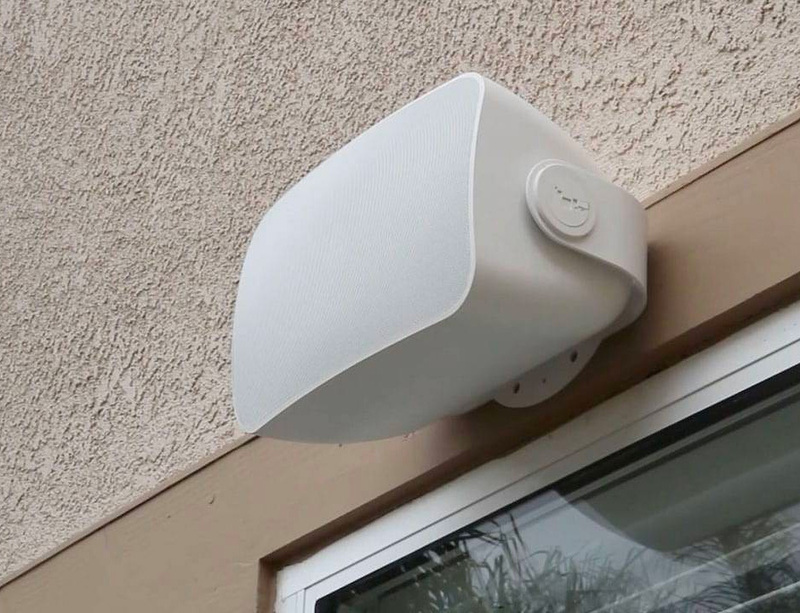 The drop includes a flush-mount in-ceiling & in-wall speaker plus an outdoor speaker. The weatherproof outdoor model is a first for the brand, and all 3 work with major streaming services. Available in April. The Google Home product line continues to grow with the release of two new smart home speakers: the Google Home Mini and Max. 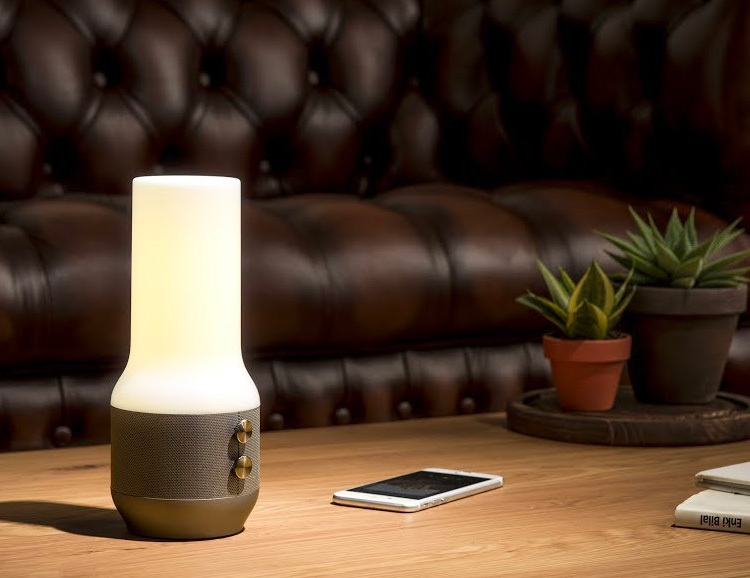 The Mini is a compact, tabletop speaker featuring built-in Google Assistant and 360º sound. 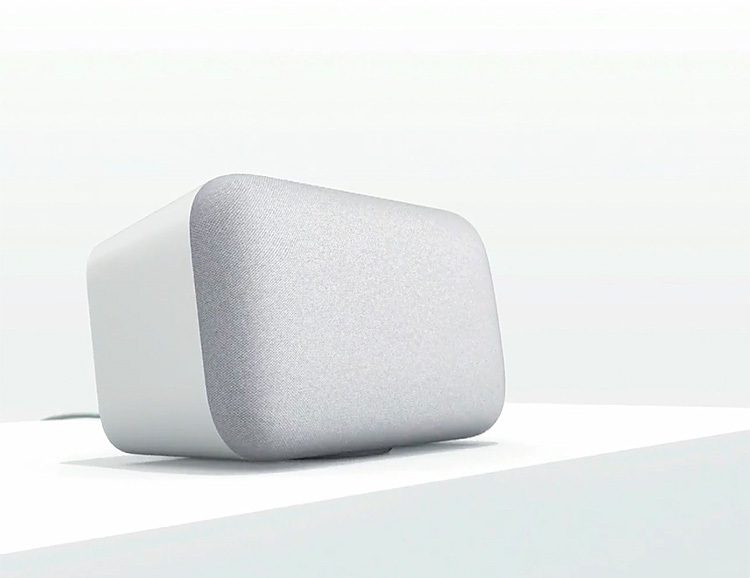 The Max is larger, delivering room-filling sound and is the first speaker to feature Google Smart sound technology that tunes the sound to optimize audio quality for the room and the music you choose. 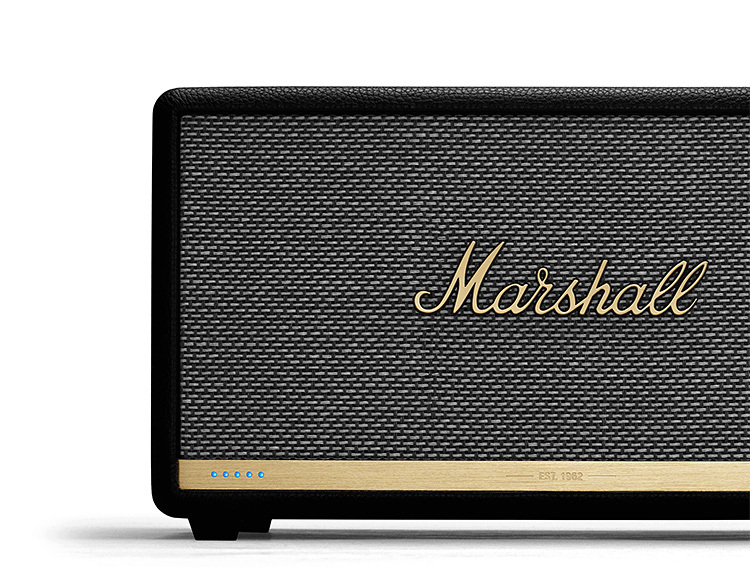 Marshall Voice combines the legendary sound of Marshall with Amazon’s Alexa virtual assistant. Whether you just want to crank tunes and yell at Alexa to turn it up or schedule reminders, control your smart home and more, you can do it all with the hands-free convenience of voice control. 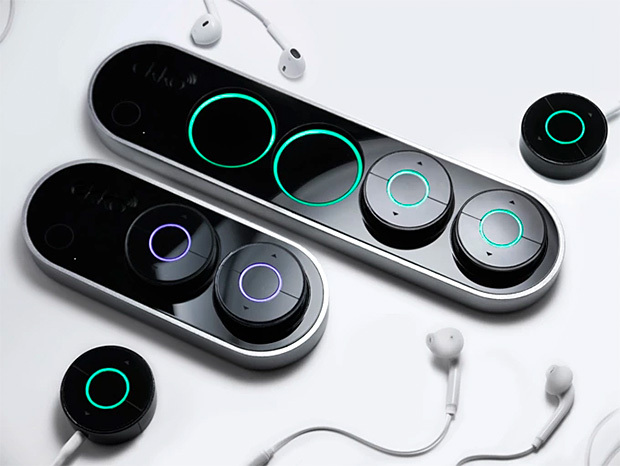 This is the first Hi-Fi wi-fi audio hub for headphones and speakers. It uses low frequency wi-fi to stream real-time audio to multiple listeners. Up to 4 at a time. Using small, individual wireless HUB receivers, the system works with any & all headphones & speakers. A funded Kickstarter. We feature our fair share of bluetooth wireless speakers but we’ve never seen anything like Sound Heroes. 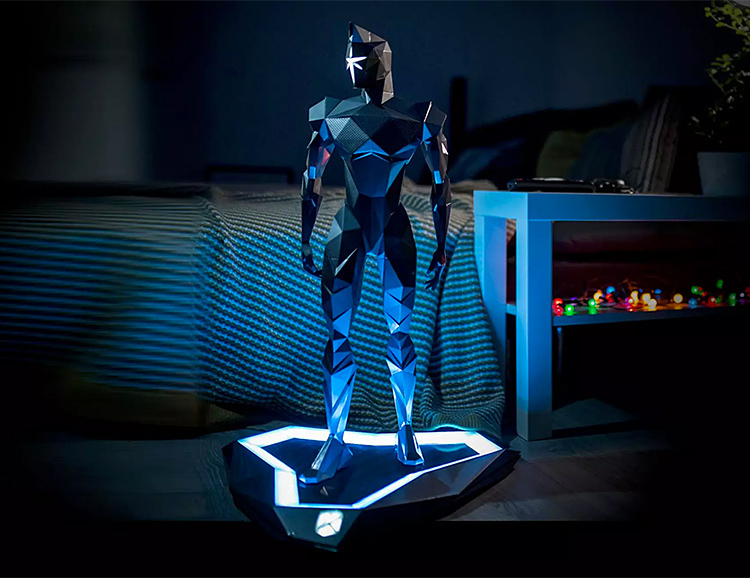 These humanoid speakers stand on a pedestal with a built-in smoke machine and glowing ambient lights with over 16 million color variations. 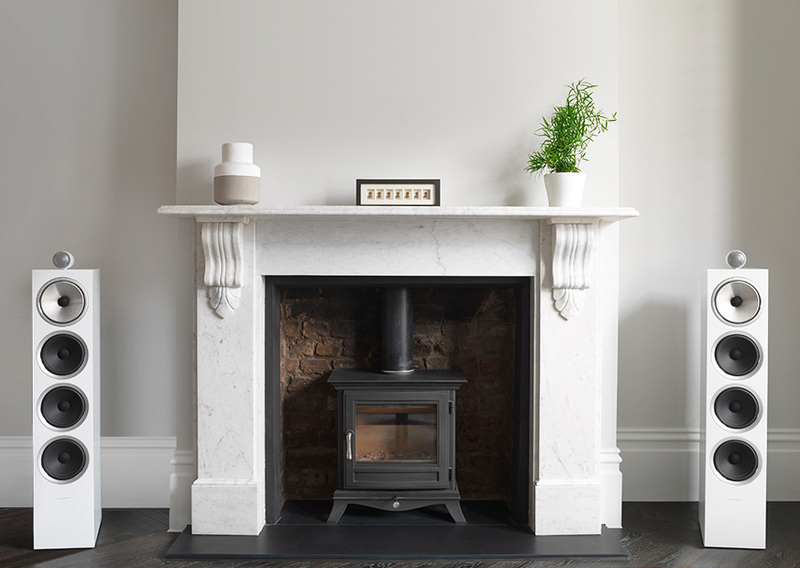 The pedestal also offers wireless charging for your phone. Choose from the 18-inch tall 20W output model or the larger 28-inch Premium with 60W output and a 20W subwoofer. 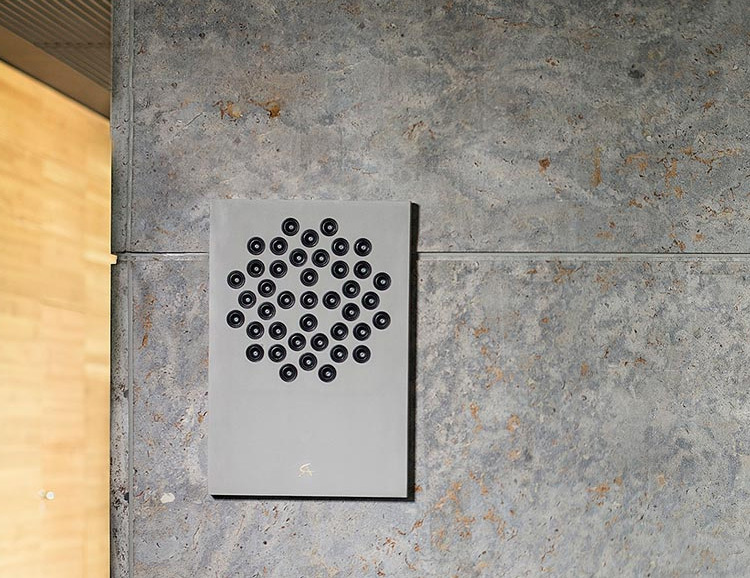 For Germany’s Concrete Audio, the material used for their speakers: concrete, also describes the sound they produce—heavy, solid & crystal clear. 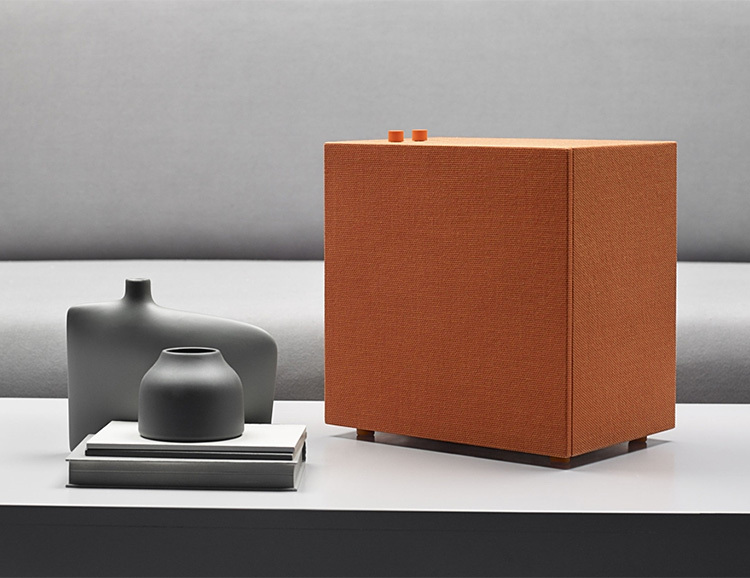 Winner of a German Design Award, the F1 wall-mounted wireless speaker is flat, sitting as flush as a picture and delivers room-filling sound using the highest-quality audio components like precision drivers engineered for a crisp, loss-free signal path & fitted with copper foil coils and silver-gold capacitors. The result is completely natural sound reproduction without any loss of quality. Combining clean Scandinavian design with versatile functionality & room-filling sound, the Baggen and Stammen from Urbanears let you stream from the cloud or hook up to your turntable; save your favorite playlists as presets, and play solo or link multiple units. Simple tactile knobs control power & volume and to perfectly suit your space, the speakers are available in a variety of colors. 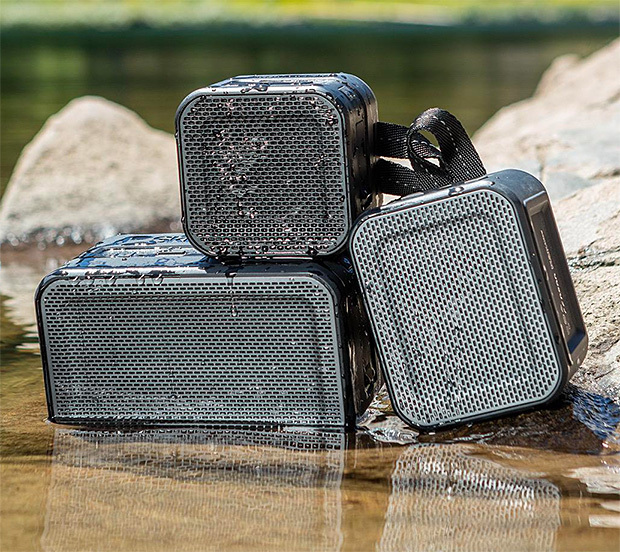 With IPX waterproof ratings and impact-resistant designs, Skullcandy’s Barricade bluetooth wireless speakers deliver rugged, weatherproof durability & easy portability. 3 sizes are offered, the palm-size Mini, the larger 4.6-inch Barricade with 8-hour battery & the XL, a 6.8-inch speaker with a 10-hour battery. All feature integrated touch controls, AUX ports, & speaker phone function. 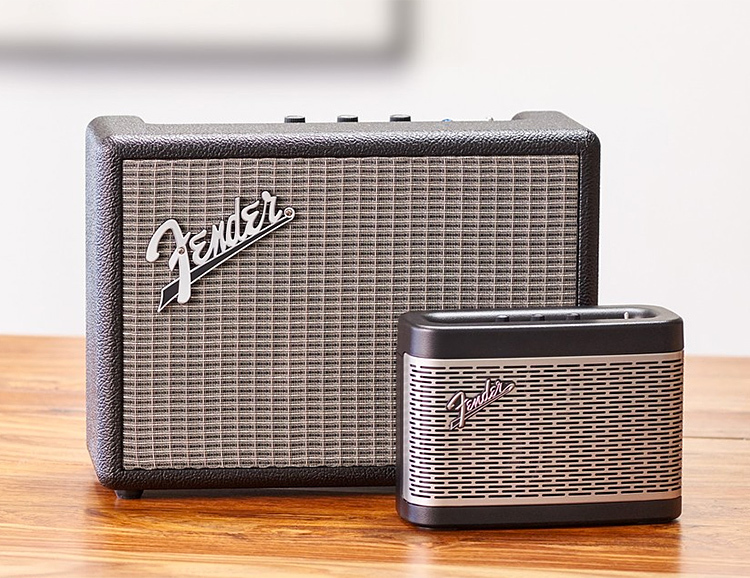 Borrowing classic design details from its line of legendary guitar amps, these new speakers are Fender’s first wireless offering. The 120W Monterey features a quad-driver system with two woofers & two tweeters. The compact 30W Newport model offers crisp full range sound with a tri-driver setup. Both offer AAC and aptX wireless audio codec support for pure clear sound and they’re also equipped with a pair of RCA jacks & a 3.5mm aux input for plugging in analog devices. 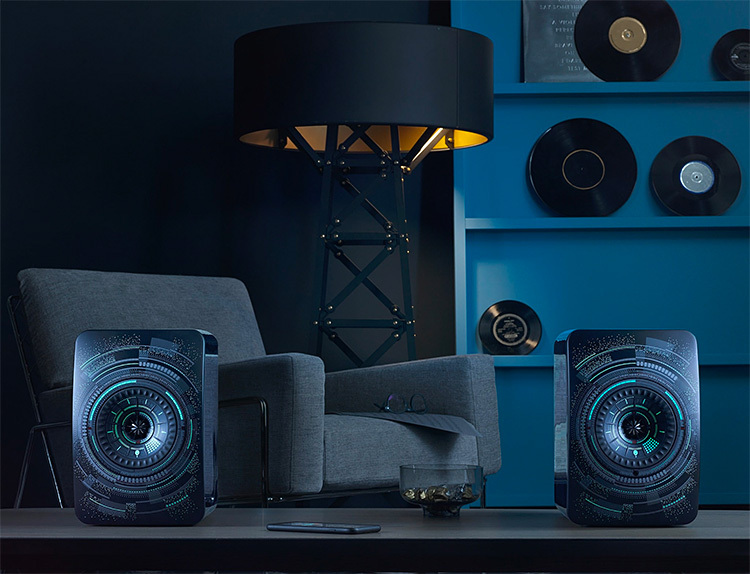 Designed by renowned audio engineer Gordon Rankin & featuring all aluminum construction plus audiophile-quality components, Feniks Essence speakers are a serious standout when it comes to desktop speaker systems. They deliver 50 watts of crisp, full range sound per channel & feature a 24-bit / 96kHz DAC. They can be powered by USB or 3.5mm analog connector and feature a simple, top-mounted volume dial for control. The latest in B&O’s Beoplay line of stylish, sophisticated speakers, the wireless Beoplay 6 is small in size but delivers room-filling premium 360º sound. Battery life is an impressive 16 hours, and the integrated flex button controls blend into its pearl-blasted aluminum exterior. Available in natural or black. If 600-watts of premium amplification is what your sound system needs, the all-new McIntosh MC611 delivers. This high-powered quad-balanced monoblock amp will easily make the windows rattle in their frames and send pets scurrying while driving your stereo or home theater sound. 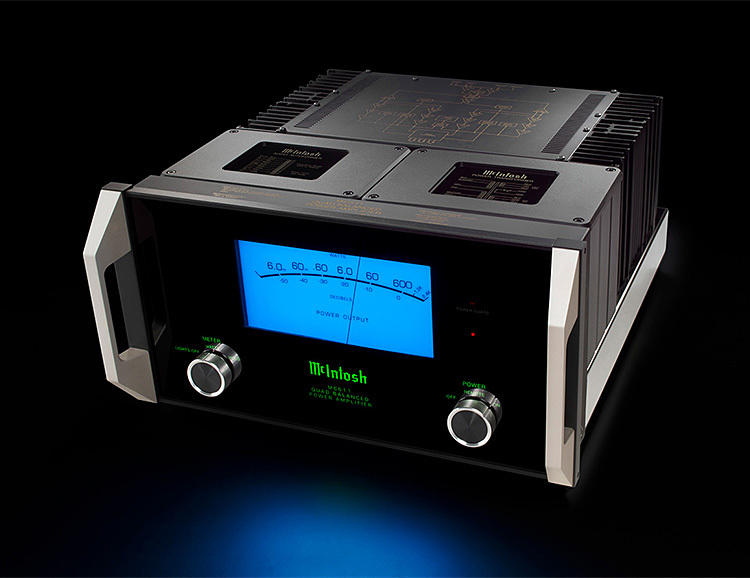 McIntosh’s Autoformer output technology means that the amp’s full 600 Watts will be delivered to the speakers regardless if it has 2, 4 or 8 Ohm impedance, allowing it to perform to its full potential with all systems. 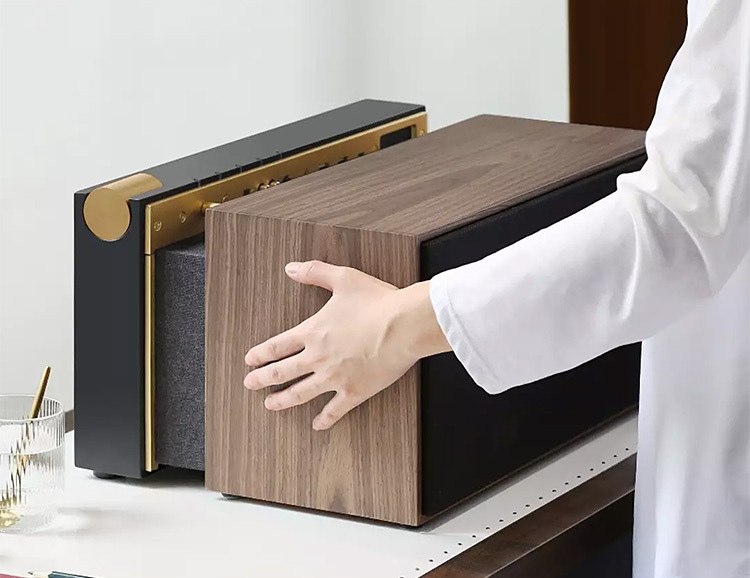 The PR / 01 wireless speaker from Native Union looks like a piece of hi-fi history from the 70s but its 2-speakers are controlled by multiple digital amps and it features Bluetooth with aptX support for flawless mobile streaming. It also has a concealed drawer that hides audio inputs from view and will charge your devices via USB or wirelessly via the optional Qi charger. 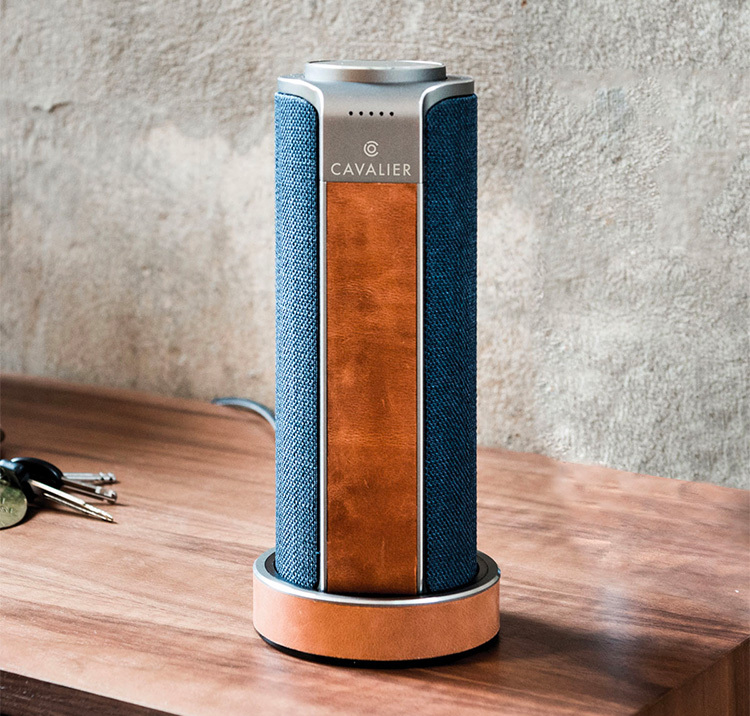 Quality sound and a stylish design make Cavalier’s Maverick speaker system a standout. It’s a portable Bluetooth + wi-fi speaker unit with built-in Amazon Alexa voice control and a convenient charging base. It streams from all your favorite services: Amazon Music, SiriusXM, Spotify, Audible, Pandora, and more. 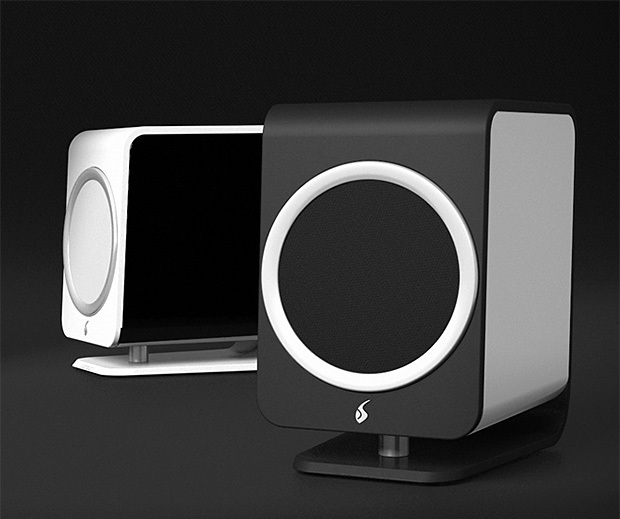 Multiple speakers can be linked together for multi-room audio as well. 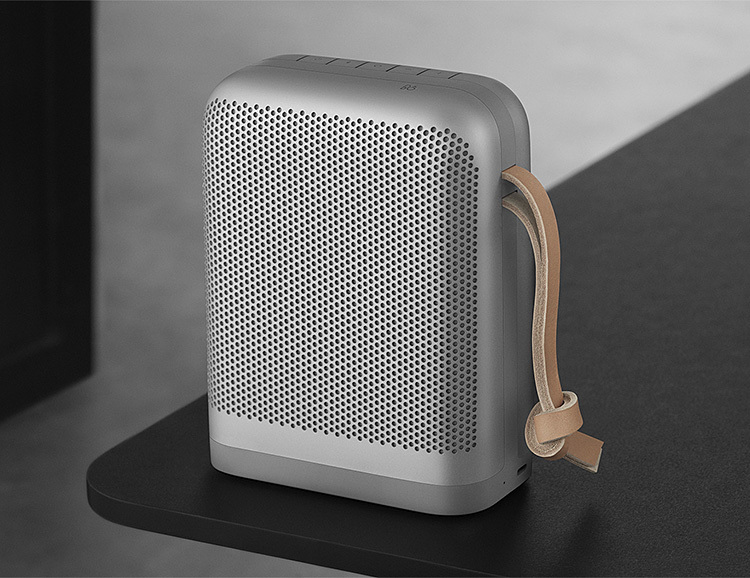 The Lexon Terrace is the perfect portable for those evenings outside; it’s a rechargeable bluetooth speaker, LED-powered lamp, and a backup power bank all-in-one. 2X3W speakers provide the mood music, the LEDs glow warm for mood lighting, and the 2 USB ports will keep you juiced. Battery-life is 5 hours. 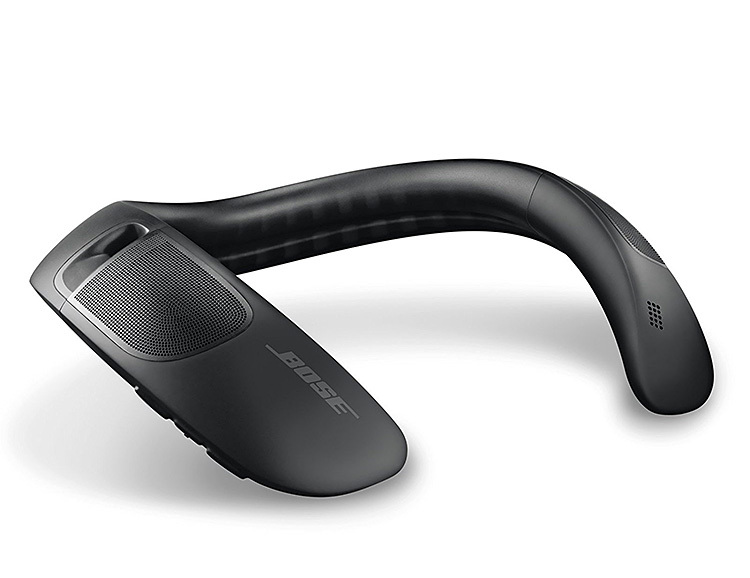 The Bose Soundwear Companion is a unique device that delivers high-quality Bose sound with the freedom of being both hands-free and ears-free. This gives you the freedom to work, interact with others and hear what you wanna hear without being lost in the isolated bubble of your headphones. Wear it around your neck and the upward facing speakers give you music, calls, SIRI voice-control, and simple 3-button controls for playback, pause, & volume. 12-hour battery life.